Join us for a deep dive into the HVAC system and how energy- saving programs in the OR can be implemented safely. With their stringent environmental, heating, ventilation, and air cooling (HVAC) requirements and 24/7 occupancy patterns, the OR represents a significant percentage of a health care facility's energy budget. Reducing HVAC demands in ORs when they are unoccupied can save an average of more than $3,200 per OR per year, and yet only 32 percent of 2016 Practice Greenhealth award winners had an HVAC setback program in place. * Speakers will review air exchange rate operation and standards, reducing rates to minimum standards during unoccupied periods. The importance of a multidisciplinary team approach and understanding and addressing common concerns among key stakeholders will be reviewed. Attendees will gain a greater understanding of the HVAC system and how energy- saving programs in the OR can be implemented safely. Gather up your colleagues in Facilities, Infection Prevention and Surgical Services and join engineering, clinical and sustainability experts as they zero in on air exchange rates in the operating room during unoccupied modes. *2016 Sustainability Benchmark Report. Practice Greenhealth. Hello There, Get Ready to Share! What’s New to Do for Earth Day 2017? When required, please enter event password "Pgh2017". 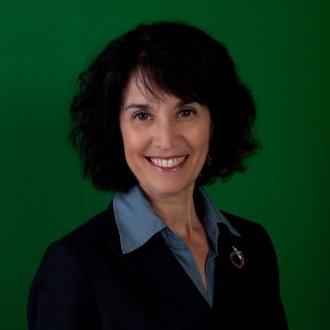 Hermine Levey Weston, RN, MBA is Member Engagement Manager at Practice Greenhealth where she manages member accounts by providing support and technical expertise related to environmental and sustainability programs in health care settings. She is a health care professional with over 25 years of experience in health care quality management. Prior to joining the Practice Greenhealth team, she was employed by the Shriners Hospital for Children in Springfield, Massachusetts. This sharing call will provide an overview of available assessment, procurement, installation, and general best practice resources. Gather your Facilities, Community Benefit, HR, Supply Chain, and Finance colleagues and hear from Practice Greenhealth members about their experience and perspectives on assessment, planning, installing and maintaining EV charging stations on their campuses. Air pollution in our nation’s cities and communities contributes to respiratory diseases (including asthma and changes in lung function), cardiovascular diseases, adverse pregnancy outcomes (such as preterm birth), and even death, and is carcinogenic to humans.1 About 3 of every 4 of the 8 million barrels imported daily into our country is used by the transportation sector2, largely single passenger vehicles and light duty trucks found daily in employer parking lots and back docks. With the transition from internal combustion to electric engine technologies, and as major community employers, hospitals and health systems are in a position to reduce the environmental and community health impacts of hospital-related transportation. Building an infrastructure of EV charging stations at employer workplaces can serve to reduce the amount of petroleum used for transportation and support and improve community health. Among strategies to reduce the public health impacts of current transportation practices is the installation of public, employee, and fleet vehicle EV Charging stations. This sharing call will provide an overview of available assessment, procurement, installation, and general best practice resources. Gather your Facilities, Community Benefit, HR, Supply Chain, and Finance colleagues and hear from Practice Greenhealth members about their experience and perspectives on assessment, planning, installing and maintaining EV charging stations on their campuses. Understand the health impacts of air pollution from hospital-related transportation sources and review transportation strategies to improve community health outcomes, including the installation of EV charging stations. Review DOE EV Workplace Charging program and resources. Learn Success Stories from Advocate Health. Julie K. Moyle, MSN, RN, Outreach and Engagement Specialist, Practice Greenhealth, jmoyle@practicegreenhealth.org Julie joined Practice Greenhealth as an Outreach and Engagement Specialist in 2015 by way of the Healthier Hospitals Initiative, and her role in the campaign as an Outreach Specialist in 2013. A currently practicing registered nurse, she began developing her interests in health care sustainability in 2003 with the opportunity to open and manage the surgery department at the country’s first LEED certified hospital in Boulder, CO, where she currently lives. She earned her BSN from Vanderbilt University and Master’s degree in Nursing Administration from Duke University. She has worked in the operating rooms of Shands Hospital at the University of Florida and Duke University Medical Center in clinical and management positions. Carrie Ryder, Analyst, ICF, carrie.ryder@icf.com Carrie is an analyst at ICF specializing in alternative fuels, advanced vehicles, and sustainable transportation. She supports the U.S. Department of Energy and the National Renewable Energy Laboratory in their alternative fuels programs, and she has provided technical assistance, compiled best practices, and developed resources for workplace charging programs since 2014. 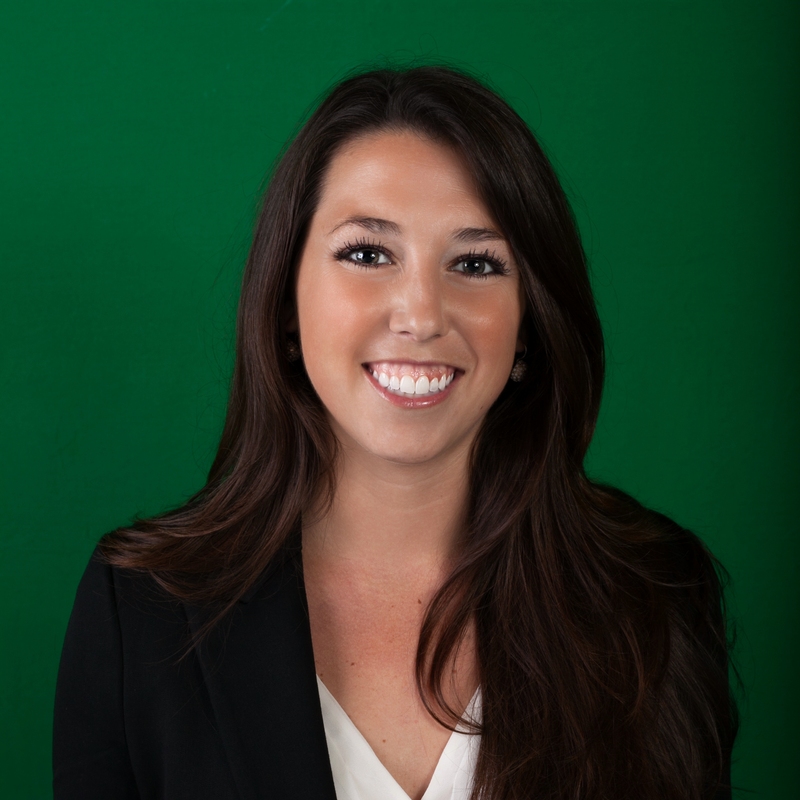 Carrie graduated from Dartmouth College and currently resides in Denver, CO. Patient and family engaged care (PFEC) is care that is planned, delivered, and managed in partnership with patients and their families in a way that reflects their preferences and values. This approach to care is a shift in the role patients and families play on their own care teams, as well as in quality improvement and care delivery efforts. Currently barriers exist in most settings that prevent organizations from creating a culture that is driven by patient and family engagement. To address these barriers, the US National Academy of Medicine convened a Scientific Advisory Panel to compile and disseminate important insights on culture change strategies that facilitate patient engagement with validated results tied to better outcomes, better care, greater value and greater joy in practice. To achieve this goal, the Panel drew on both the scientific evidence and the lived experiences of patients, families, and healthcare practitioners to develop a comprehensive framework for creation of a culture of PFEC. This resulting National Academy discussion paper includes research supportive of the elements of the model and a bibliography within each topic area. The paper introduces the framework and associated evidence, along with practical examples, with the goal of supporting action that will support PFEC. Widespread dissemination of the framework is underway currently, and on-going updates to the evidence-base will be added in order to keep the model evolving. Our aspirations for a sustainable culture of patient-engaged care requires an understanding that all stakeholder groups are part of the solution. The behaviors and altitudes of patients, clinical staff, and leadership create the culture of healthcare delivery. Culture change efforts must be informed by the experiences of all who interact with the system. Having a framework that identifies how to manage culture change, along with a compilation of supportive evidence is essential. 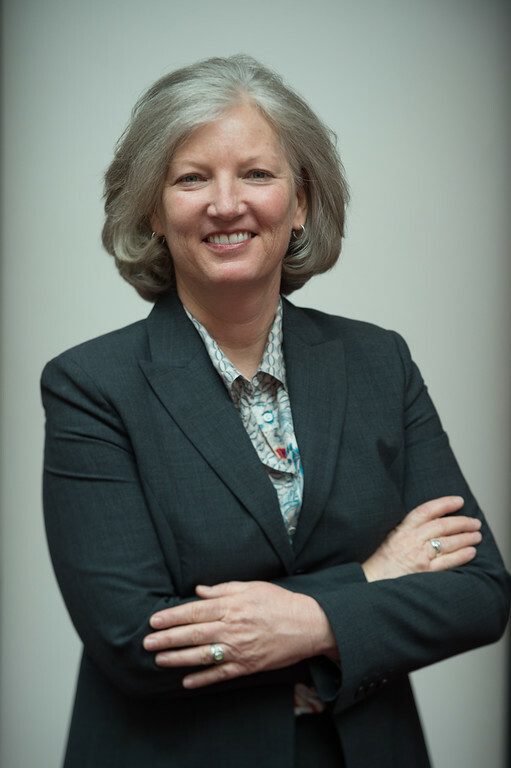 Susan Frampton is the President of Planetree, a non-profit advocacy and membership organization that works with a growing international network of healthcare provider organizations across the continuum to implement comprehensive patient-/person-centered models of care. Dr. Frampton, a medical anthropologist, has authored numerous publications, including the third edition of Putting Patients First (Jossey-Bass 2013), and a chapter in Providing Compassionate Health Care (Routledge 2014). Dr. Frampton currently co-chairs of the National Quality Partnership, a collaborative of major national organizations convened by the National Quality Forum, and the Advanced Illness Care Action Team also convened by NQF. Dr. Frampton serves on the Governing Board for the WHO-CC International Network of Health Promoting Hospitals, has participated on The Joint Commission's Expert Advisory Panel on culturally competent patient-centered care standards, the Institute of Medicine's Patient and Family Council Leadership Consultative Group, and currently chairs the National Academy of Medicine's Scientific Advisory Panel on the Evidence Base for Patient-Centered Care. She is a member of the editorial board for the Journal of Compassionate Healthcare, and in addition to speaking internationally on culture change, quality, safety, and the patient experience, she was honored in 2009, when she was named one of “20 People who Make Healthcare Better" by Health Leaders Magazine. Practice Greenhealth is pleased to announce the release of the 2016 Sustainability Benchmark Report, highlighting health care sustainability trends and emerging areas of focus. The 2016 Sustainability Benchmark Report includes an analysis of the data from 322 hospitals that participated in Practice Greenhealth’s 2016 Environmental Excellence Awards. The Benchmark Report is the only report that shows comprehensive data illustrating the progress of sustainability across the health care sector. The report analyzes data provided by health care facilities of various types and sizes located across the country. In addition to reporting out on metrics, the report shares sustainability trends and emerging areas of focus. When required, please enter event password "Pgh2016". Practice Greenhealth's Environmental Excellence Awards are the premier source of recognition for hospital achievement in environmental stewardship. Come and learn how your organization can gain recognition for all of the sustainability programs it is putting into place. This sharing call will help equip facility leaders with best water management practices for achieving health and safety, environmental and financial goals. When required, please enter password "Pgh2016" for this event. If you need any assistance, please contact yzhong@practicegreenhealth.org. This sharing call will help equip facility leaders with best water management practices for achieving health and safety, environmental and financial goals.Dr. William McCoy, Ph.D. Co-Founder and Chief Technology Officer of Phigenics will present "Safe, Efficient and Cost Effective Water Management Programs for the Built Environment." This comes from a book he is writing for the International Water Association. Attendees will learn what is sustainable water system management, understand "If it is not safe, it is not sustainable", and learn how to align cost, safety and efficiency. Practice Greenhealth Less Water Goals and Toolkit overview. Dr. Vincent Hsu will detail Florida Hospital's Water Management Journey. Florida Hospital is developing a system wide approach for optimizing their water management for safety and efficiency. The presentation will include an overview of how the program started, Florida Hospital's vision for water management, the composition and value achieved by creating a water management team, the process for developing the program for water safety and the next steps as it incorporates water efficiency opportunities and ongoing validation and verification. Q&A moderated by Hermine Levey Weston. Attendees will understand that a sustainable building water management program entails designing it for water safety and optimizing it for water efficiency with ongoing program oversight via a cross-functional water management team and smart technology. Bill McCoy is Co-Founder and Chief Technology Officer of Phigenics. He is a world-renowned expert in preventing disease associated with waterborne pathogens in building water systems. The International Water Association (IWA) awarded him their top prize, the Medal for Outstanding Contribution to Management and Science, in Berlin, 2001. The IWA published his full-length book entitled Preventing Legionellosis in 2005. Bill has developed many innovations in water technology. He holds 29 US patents, all with international equivalents, and in 2001, received the Inventor of the Year award from The Intellectual Property Law Association in Chicago. Bill serves as an Advisor to NSF International, developing education, training and certification programs on HACCP for Building Water Systems. He currently serves as voting member on the Environmental Health Committee for the American Society of Heating, Refrigerating and Air-conditioning Engineers (ASHRAE) and also as voting member on Standard Project Committee 188, “Legionellosis: Risk Management for Building Water Systems". He holds a Ph.D. in Microbiology from the University of Calgary and M.Sc. from the University of Hawaii, two undergraduate degrees in Chemistry and Microbiology from California State University, Long Beach and Executive Management Education from the University of Michigan. Dr. Hsu is the Hospital Epidemiologist at Florida Hospital and co-chair of Florida Hospital's Water Management Program. He received his medical degree from Loma Linda University College of Medicine in California. He completed his residency in Internal Medicine at Legacy Portland Hospital and his fellowship in Infectious Diseases at University of Southern California Medical Center. He also obtained a Masters of Public Health at University of California Los Angeles School of Public Health. Prior to joining Florida Hospital, Dr. Hsu spent three years at the Centers for Disease Control and Prevention where he was involved in outbreak investigations such as the anthrax attacks and SARS epidemic. His time there was focused on international outbreak control and public health research. Dr. Hsu was also previously the Medical Director for Safety, Quality, and Infection Control at Florida Hospital. His current interests include prevention of hospital-associated infections, community and hospital preparation for pandemic influenza, and use of evidence-based therapies to create a culture of safety for patients. Dr. Hsu has received numerous awards, including several U.S. Public Health Service Awards. He is the author of more than 15 peer-reviewed publications in epidemiology and infectious diseases. He is board certified in Internal Medicine, Infectious Diseases and Preventive Medicine. Overview of the categories that Practice Greenhealth has established in order for hospitals to use a standardized practice for measuring materials and waste. When required, please enter meeting password "Pgh 2016". In order to submit a Practice Greenhealth Environmental Excellence Award, hospitals are required to submit data on the types and amounts of wastes that are generated. Award thresholds include a less than 10% Regulated Medical Waste rate and a minimum of a 15% recycling rate. The award reviewers also require other waste reduction activities and some details on how hospitals achieved the targets. Join Janet Howard, Director, Member Engagement and former health care Waste Manager for an overview of the categories that Practice Greenhealth has established in order for hospitals to use a standardized practice for measuring materials and waste. Janet will provide a step by step approach to tracking each waste stream. Christopher Bodkin will provide details on the data requirements for material and waste tracking. Recognize that waste and recycler haulers can support a hospital's data collection needs. Explore the health concerns of styrofoam food service wares and the options available to operators looking to move away from styrofoam. If required, please enter meeting password "Pgh2016". Explore the health concerns of styrofoam food service wares and the options available to operators looking to move away from styrofoam. Topics will include a review of bio-based products, an evaluation of each material based on usage, health, cost, and environmental considerations. Attendees will learn about sourcing and certification resources such as Environmental Preferred Purchasing, USDA BioPreferred, Biodegradable Products Institute and Forest Stewardship Council.